Steady snowfall made for a sloppy Monday morning commute across much of New England, after forecasts predicted a heavy storm. 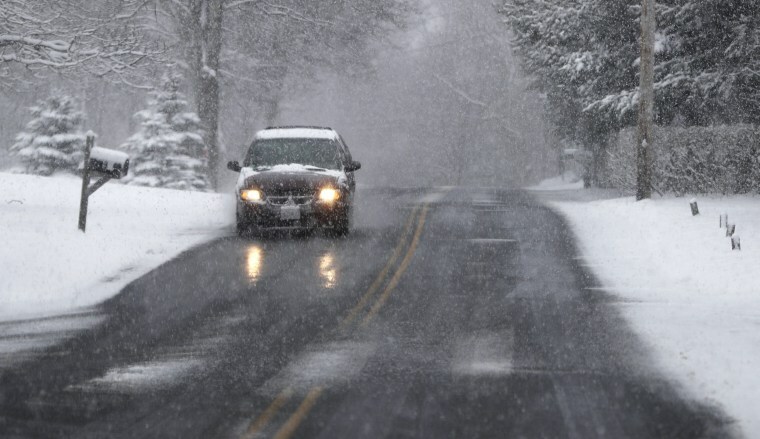 A vehicle drives though slushy but relatively uncovered roads as snow started to fall as part of a spring snowstorm hitting the Northeastern United States in Norfolk, Massachusetts, on March 21, 2016. 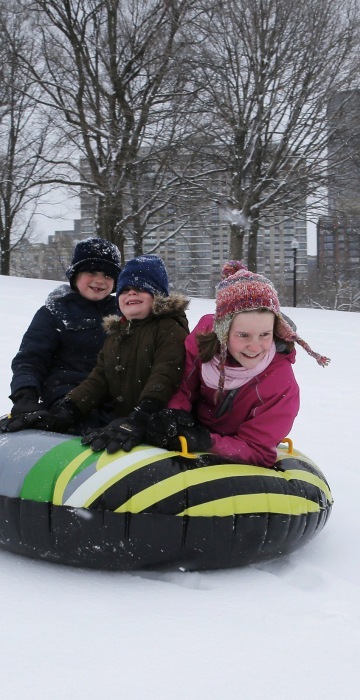 The storm was predicted to drop a maximum of about 8 inches in parts of Northern Maine, around 6 inches in the Boston area and less than an 1 inch in New York City. 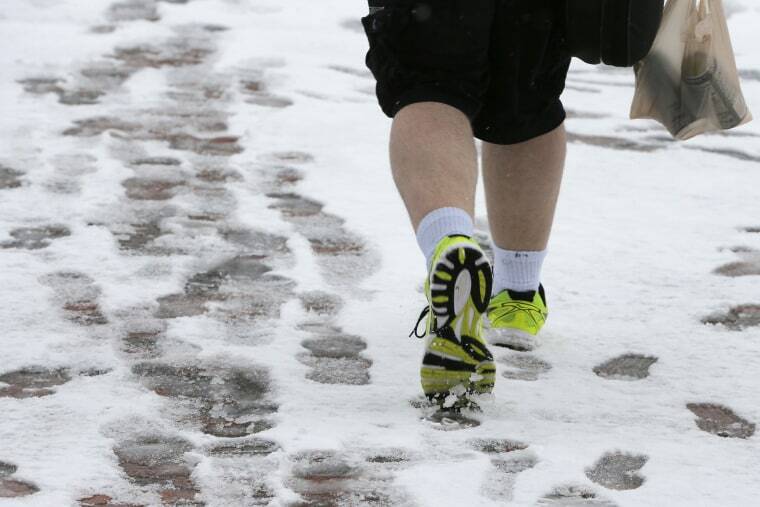 A pedestrian wears shorts while walking on Boston Common during a snow storm on the second day of spring in Boston, on March 21. 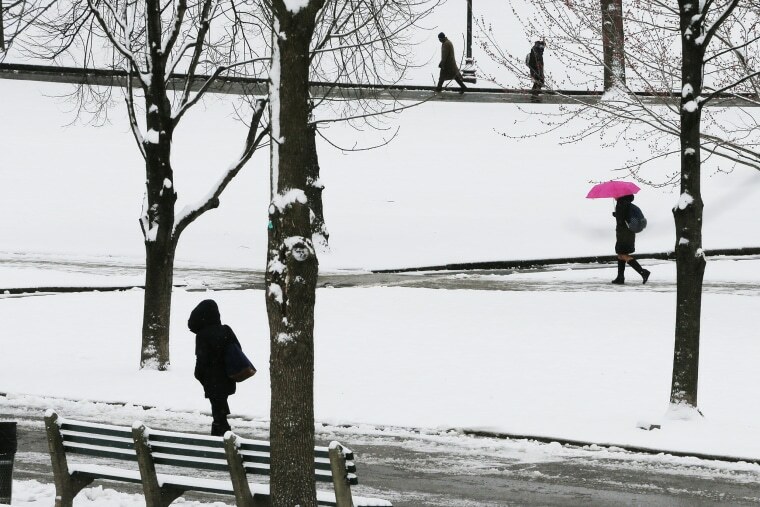 Pedestrians walk on Boston Common during a snow storm on the second day of spring in Boston, on March 21. 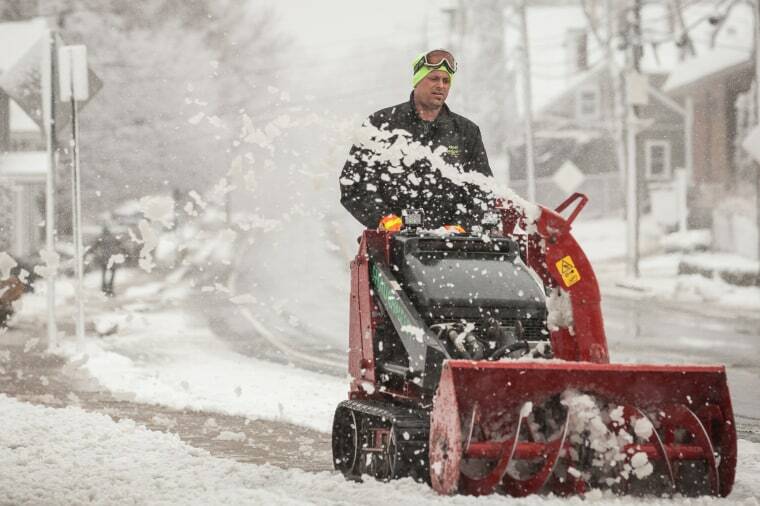 Shawn Peters clears snow from the sidewalk on Sandwich Street in Plymouth, Massachusetts on March 21. 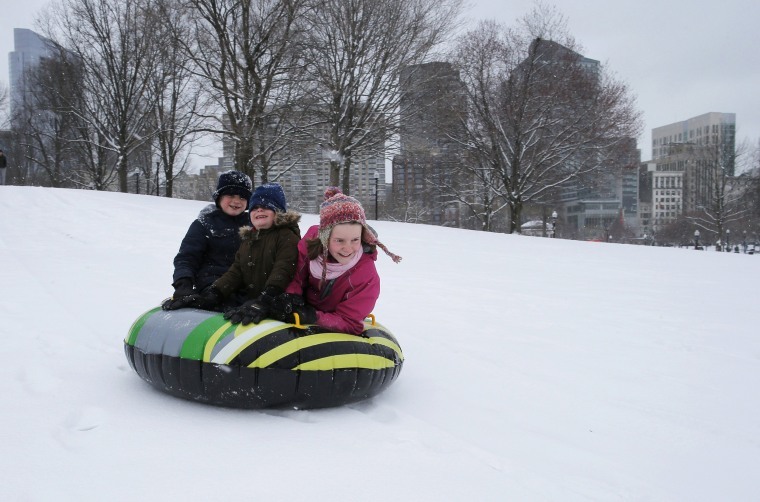 Siblings Leo, Max and Zoe Zavrachy, on vacation from Ireland, ride down a snow covered hill on Boston Common during the snow storm on the second day of spring in Boston, on March 21. 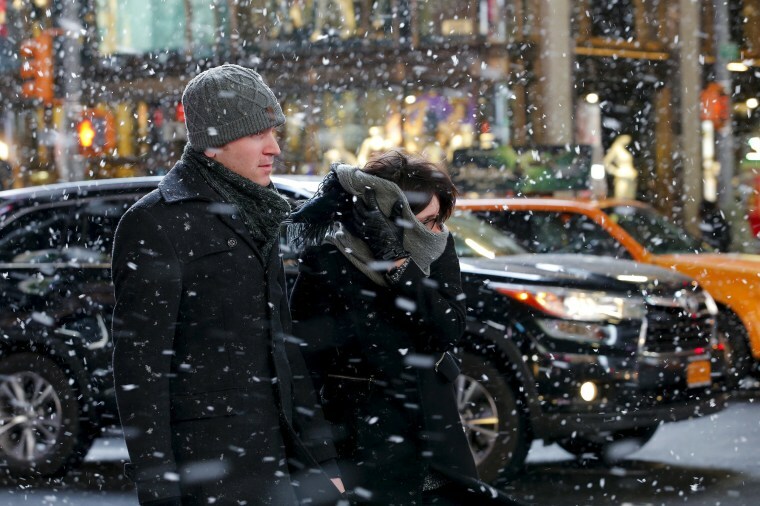 People walk in Times Square as snow falls down during the first day of spring in New York, March 20. 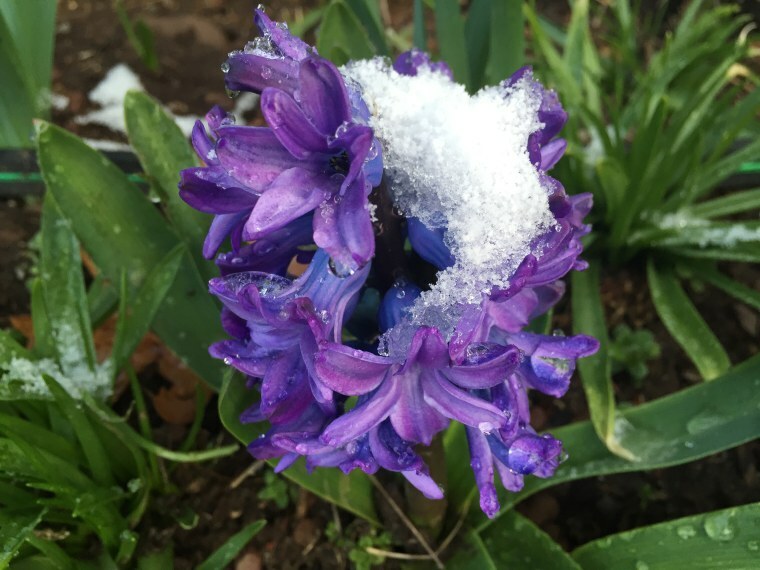 Purple flowers are covered in snow during the second day of spring in New Jersey, on March 21. 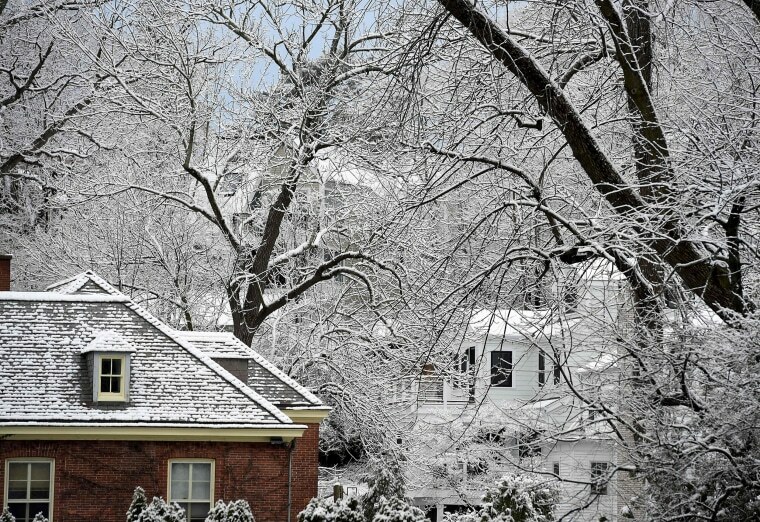 The wintry coastal storm brought snow and rain to the region of in Greenwich, Connecticut on March 21. 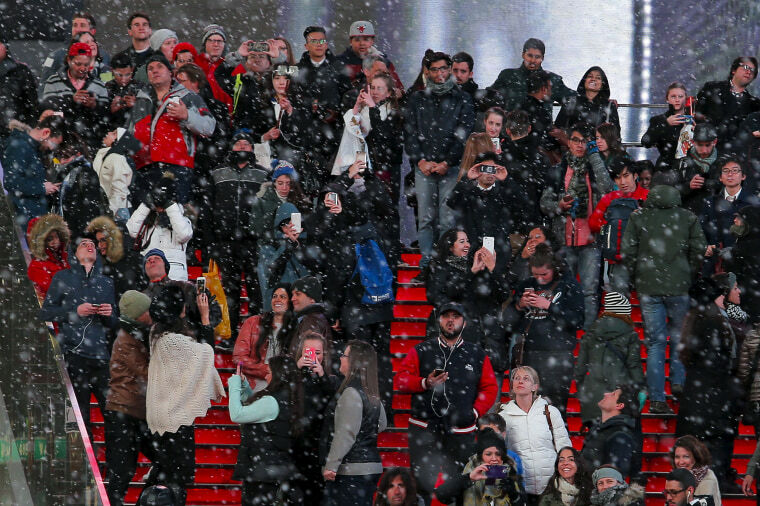 People try to take pictures in Times Square as snow falls down during the first day of spring in New York, March 20. Daniel Cardona clears snow from a sidewalk in the East Boston neighborhood of Boston, on March 21. 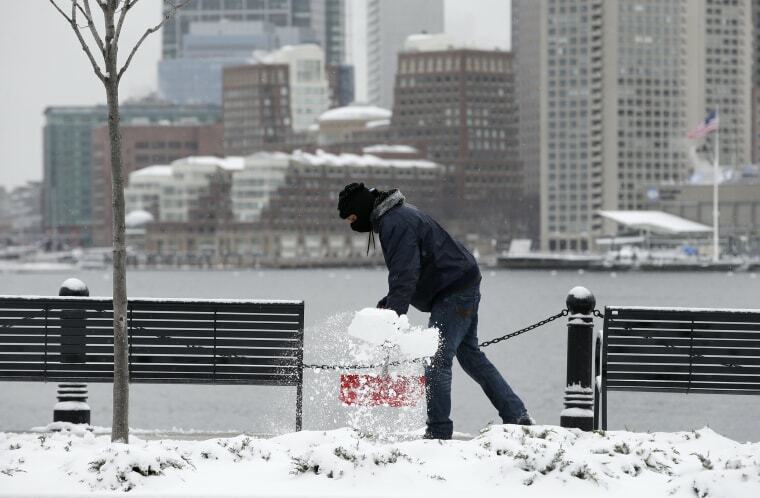 Southeastern Massachusetts, including Boston and Rhode Island could get several inches of snow through Monday morning.